Atlanta marketing research company, Polaris Marketing Research, implements policies to achieve a more environmentally friendly workplace. “All of us here at Polaris are concerned about global climate change and have embraced these initiatives,” said president Jan Carlson. “We have identified some relatively painless and cost-effective ways to be more green." 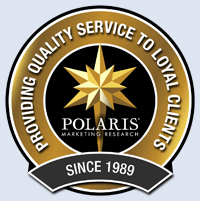 While St. Patrick’s Day celebrates the “wearing o’ the green”, Polaris Marketing Research’s (polarismr.com) Green Initiative goes far beyond a one-day commitment. Polaris has put into place several policies that will reduce its carbon footprint and achieve a more environmentally friendly workplace. Reduce bottled water waste by providing filtered drinking water and encouraging the use of re-usable containers for drinking water. Reduce the use of plastic utensils and paper plates by providing flatware and dishes. Running the dishwasher only with full loads. Reduce paper and ink usage by discouraging printing drafts, printing on both sides of the paper and printing half-saved. Recycle all paper and other materials that can be recycled, such as soda cans, other plastic containers and ink cartridges. Reduce kitchen paper towel usage by providing kitchen towels.